Everyone needs a little candy now and again, no? Not necessarily praline, mind you, and not necessarily praline in high summer, but it's still cool enough here to talk about two possibilities for the gourmand section of your perfume collection: Parfumerie Generale's Praliné de Santal and Les Parfums de Rosine's Rose Praline. Parfumerie Generale, to my mind, is a niche house you really should know if you're at all into oddball little gourmands — candy for grownups, if you will. Praliné de Santal is one of their more recent launches, and it's a limited edition, so if you want some, think sooner rather than later. I loved it right away. It's nutty but also bread-y, and sweet, but not so sweet as the brand's other grains & nuts effort, Aomassaï, and not so sweet as real praline, or anything else that might stick in your teeth. There is something like wheat (Luckyscent says graham crackers; that works), and lightly toasted hazelnut, and a creamy-woody base softened by heliotrope (the official notes are sandalwood, heliotrope, hazelnut, Virginian cedar and cashmeran). It's gentler and less insistent than Serge Lutens' take on a similar theme, Jeux de Peau, and I find it more of a true gourmand — they're equally sweet, but the Praliné is foodier — and by extension more of a comfort scent. It would be the perfect thing on a chilly fall evening. 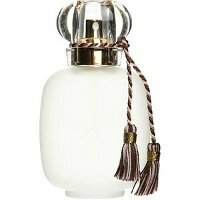 Parfumerie Generale Praliné de Santal is available in 50 (around $100) and 100 (around $150) ml Eau de Parfum; for buying information see the listing for Parfumerie Generale under Perfume Houses. I have fallen hopelessly behind on the Rosine fragrances, in fact I'm just now getting around to trying Rose Praline, and it came out in 2008. Like all of the Rosine fragrances, to one degree or another, Rose Praline is "about" rose; I would place it solidly in the floral category, with the foody notes adding a gourmand touch at most — it does not, like Praliné de Santal, make me hungry to wear it. It's a soft rose, dewy and bright, with light accents of spice, dry cocoa powder and lapsang souchong tea (other notes: cardamom, bergamot, rose, geranium, amber, sandalwood and white musk). The sweetness is quite under control, but as with their Diabolo Rose (the last one I reviewed, I think), I wished they had amped up some of the other notes and left the rose a bit more in the background. A bit more cocoa, a bit more smoky tea? Mind you, it's lovely, it's just that my appetite for well-mannered rose fragrances is limited, and there are so many already out there. If what you're after is subtlety, or if you're already a big fan of the house, do try it. The reviews at MakeupAlley are generally glowing. Les Parfums de Rosine Rose Praline was developed by perfumer François Robert and is available in 50 (around $110) and 100 (around $140) ml Eau de Parfum; for buying information see the listing for Les Parfums de Rosine under Perfume Houses. I would so try to like the Rose Praline, and I had hoped I would smell a few other notes als rose. But I only smelled a lot of rose, and with most rose scents it unfortunately turned our on my skin. It’s quite rose-y — I was surprised the gourmand elements weren’t stronger. Lovely, but a bit old-fashioned maybe. “oddball little gourmands” ha, so true! Funnily enough I was wore Cuir Venenum yesterday and spent the day marvelling at what a wonderfully peculiar thing it is. A bitter sweet gourmand leather….or is it leathery gourmand? So much fun either way. Unexpected lemming alert! 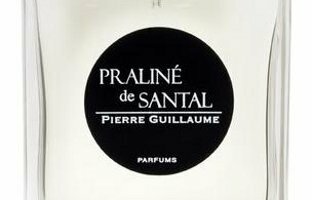 Praliné de Santal sounds so nice I’m suddenly really tempted to order a sample. Have you tried Tonkamande? It too sounds really interesting from the description. I just hate the whole limited edition business, though. I like to mull over, and over…and over my prospective purchases so I don’t like the buy-now-before-it’s-gone pressure. Tonkamande is a cool scent, but didn’t grab me. Another way of putting it: interesting, but not dying to wear it? Anyway, I think other people have liked it more than I did, so maybe look around at reviews. Thanks, Robin. I’ve had a quick look and I notice that a few people who tried them both seem to like Praliné de Santal better. Oh, ok…sorry if I sent you on a wild goose chase! Nah, it’s a good thing. Gave me more of an idea what Tonkamande is like and also confirmed your impressions. Wow, the wonders of olfactory variance. I have a sample of Cuir Venenum and it was ALL GRAPE cough syrup on me, so much so that I thought it was mislabelled! Luckily I read the reviews on Luckyscent, and 75% also smelled Dimetapp. Fascinating! I don’t think I’ve ever had grape cough syrup and I’m not sure what Dimetapp is but I’m presuming it’s a brand of said syrup (from US?). Perhaps I’m not smelling that because those things are just not in my frame of reference? I have to re-test my sample and see if I get Belgian beer, hops or rye. There was NO leather and yes Dimetapp is a US brand of over-the-counter cough syrup, intensely GRAPE flavoured. This is what I love about perfume, the different perspectives on the same scent. Vive le difference! yep, grape slushy and new cowboy boots….I think I got what you got Bear! Oh, but those are three distinct varieties of leather scent. Boot leather doesn’t smell like jacket leather, jacket leather doesn’t smell like purse leather. . .
Wow, that’s so wild! I get a lot of orange blossom in Cuir Venenum. The one I get a lot of grape from (and can’t stand) is Tommy Girl and the deeply vile Paco Rabanne Ultraviolet. Shudder!!!!!!!!!!!!! Lol, I’m also going to pull out my sample again this weekend and see if I can detect anything resembling grapes. I’m intrigued now, I looked up a list of notes and there’s nothing in there that I would image smelling like a fruit let alone something as specific as grape. I get the grapey quality (almost winey) from Venenum, but also a general fruitiness like a tangy apricot; I don’t sense orange blossom floral per se though I read that in the notes all the time. But I most certainly get a STRONG leather accord as well and I’m surprised Bear doesn’t detect it. Vive la différence indeed! I do enjoy Venenum though. I’ve tried the PG a couple of times, and I just can’t get over how it smells like a warm salted pretzel. Mind you, I love a warm salted pretzel (with mustard, please), but I don’t think I want to smell like one. Is it just me? Do you get salt from this one? I didn’t, no (and have noted before that things don’t always smell salty to me when they do to other people — wonder if I am anosmic to some chemical used to make things smell salty?) but not sure it would bother me if I did. I find it too sweet to be like a pretzel. I’m chiming in very late, I’m afraid, but wanted you to know that I do indeed get salt from this one! Indeed, that is what I find most compelling about it, and it’s what inspired an instant “I must have this” reaction as soon as I sniffed this scent. It struck me as smelling like salted roasted nuts, but next time I wear it I will bear your idea of warm salted pretzel in mind, as it sounds even more delicious. A very common filling for a Belgian praline (highly recommended by the way, including from Neuhaus and Leonidas) is some kind of hazelnut filling (chocolate or otherwise), thus the hazelnut notes in the perfume. I think it is used both ways here as well? Maybe not, I’m not sure. There are so many European chocolates sold here that I’d think most people know both usages. Speaking of (or maybe just tangentally to) KRL, do any of you know a good salty, oily, nutty perfume. I love (well, the idea, would have to try it and see on well…me) the smell of (hot) roast salted nuts, and there are times when I’d quite like to smell like them, with or without a little brittle mixed in. I take that back. Definately with a little brittle mixed in. But more salt and oil and nuttiness than sweet! Gosh, offhand, nothing is coming to mind. Hope someone else can think of something. Bois Farine? I recently fell in love with it and have been wearing my 5ml sample almost every day. I get the peanut butter note just as I apply it, but it is quickly augmented with “hot” spices. Then they meld together and I smell a dreamy warmth that stays with me all day. One of my favorites, although it did not start out that way. Peanut butter sounds like it…I’ll have to check that out. Thanks! Robin, it’s so nice to see you excited about a new perfume! Are you going to buy it? You know, I’ve come across such a huge number of spoiled perfumes in my collection over the past 6 months that my urge to buy is lower than ever. I do wish everything in the world came in 15 or 30 ml! The fact is that I have too much perfume … a really large sample is all I need of nearly anything, even if I really like it. So, no! But might swap for a decant of it eventually. I was repelled by the mere name of Praline Santal and when I had a sample in my hand the other day I took a quick whiff from the vial. Run away!!!!!!! I simply cannot do that kid of baked-goods, buttery gourmand. Jeux de Peau was really nauseating. Oh, well, more for you and money saved for me. It is funny, I thought JdP was fun but had no desire at all to own it. Kevin liked it much more than I did. I am w you T. The JdP made me queeze..
Praliné de Santal sounds fantastic. I should get over to Lucky Scent and order that and one of Tonkamande though the limited edition issue can be problematic for me, too, since sometimes coveted bottles sit on my list so long they’re sold out when I can buy them i.e. Guerlain L’Instant Magic Elixir (love almonds/heliotrope) among others. But even a passing similarity to Jeux de Peau gets my attention since I love that juice! I got a pretty huge decant os Rose Praline in a swap and while I went back and forth about it for the first few wearings, I think it’s unique enough and just gourmand enough that I’d love to add a small bottle to my collection. It is more of a rose with slightly foody accents, which keeps it from being too dull for a rose and too sweet for a gourmand. The balance is just right on my skin and now has me curious to try more from the line. Order a sample, I meant to say. Yes yes, I’ll take one of those and two of these… Hahaha. Not terribly likely at LS in my case unless it involves the ‘add sample to basket’ button. I have to agree with your take on Rose Praline, it really is, for me, partly of a matter of how many roses I own (or have smelled) already. I wasn’t kidding when I called it lovely…I do think it’s lovely! And it’s a great line, if arguably growing perhaps too large. These both sound like they are worth a try…in the fall/winter. Thanks for the reviews. Tonkamande is not quite so sweet, but wouldn’t hurt to wait. Thanks for the reviews, both of these sound sample worthy! I heard that Parfums de Rosine had an option to sample the whole line and have been waffling back and forth on whether to take the plunge. I haven’t tried anything from Parfumerie Generale yet, they sound like my cup of tea. There is a part of me though that can’t face heavy gourmands in the summer unless the air conditioning is set on arctic freeze. That would be a lot of rose at once — probably too much for me personally — so I guess it depends on how much you like rose? My complaint is that they tend to do what I think of as minor variations on the same kind of “polite” rose, but I should perhaps keep my mouth shut since there are now quite a few I haven’t tried. PG Cozé is my fav patchouli, and I rather like Brûlure de Rose, though I probably just need a large decant. I like the rose in Rose Praline, but I’m not sure I like the touch of praline. Bought the huge Rosine sample set a few months ago and it’s DAUNTING – I can’t have sampled more than a third of them yet. The one I’ve liked the most so far is Rose Kashmerie. Rose de la Mer is nice, too, and very unusual – wish I had more of that for summer. The only one I ever bought was the Ecume, and sadly it did not last — it turned within a few years. I did really love it though! Don’t think I’ve tried the Kashmerie. Hi Robin. Funny, I just unwrapped a package from dear Daisy that included a small requested decant of Tonkamande but I passed on Praline de Santal because praline is usually not my thing. However, I enjoy Aomassai, and I’m surprised now to hear you say that is sweeter. I do like a good gourmand and sweet isn’t necessarily a problem since I enjoy Musc Maori and Guerlain Iris Ganache… thus I doubt PdS could be too sweet for me. I’m not sure I’ll try that Rosine, but your review of the PG reminds me that I’m curious about their gourmand Brûlure de Rose. I also finally sampled Écume de Rose just the other day and I wanted more beach and less rose, so I concur with your wish that they’d tone down the rose and amp up the other notes a bit. I do love their Une Zeste de Rose and still want to try Rosissimo (never hear that one talked about) to see if it’s even more citrusy. My memory is that I thought Brulure de Rose was fine but didn’t care about it, never got to try Rosissimo. Best citrusy rose, for me, is probably still 06130 Yuzu Rouge, which is lighter on the rose than Une Zeste. But have not smelled either in ages! So always wonder if they’ve been redone in the interim. PG Praline de Santal is far too sweet/sticky caramel with hazelnut for me. It makes me want to call my dentist to check for cavities before spraying. I like the PG line very much. Bois Blon, Bois Naufrage, Corps et Armes, Drama Nuii, Jardin de Kerylos are some favorites, although I have not fully tested the all (how many hours are there in a day?). I don’t care for Tonkamade. Of course, I ended up testing it along with Calypso St. Barth Lea, so that may have been too much to ask of it.